MACH XIII - What We're Up to Now! We have been working on many things lately. We have replaced the motor, are installing a power controller, we have set up several spirit nights, and we are planning a sponsorship presentation. We are currently improving our car of the first international race on November 12, 2016. The race will be taking place at Jemison High School. We will also be presenting at Whitesburg P-8 open house on August 30,2016. This is the current design of our car we will be redoing it for the race on November 12,2016. This year we have decided to have two separate teams. 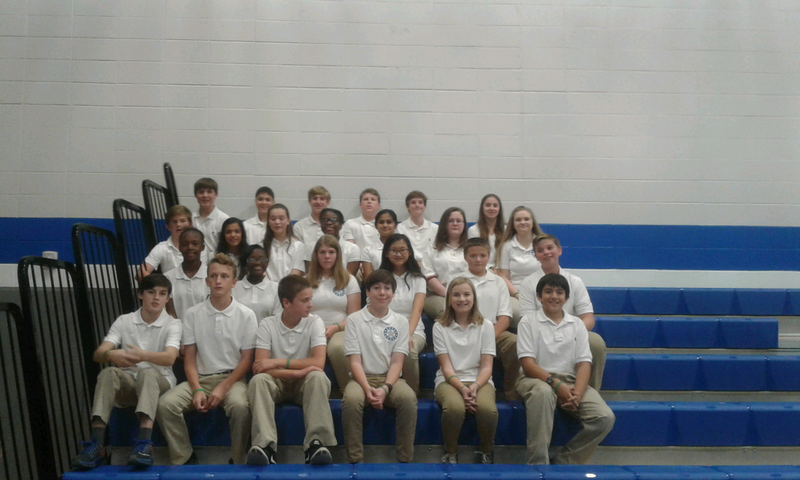 One team consists only of 7th grader and the second team consists only of 8th graders. 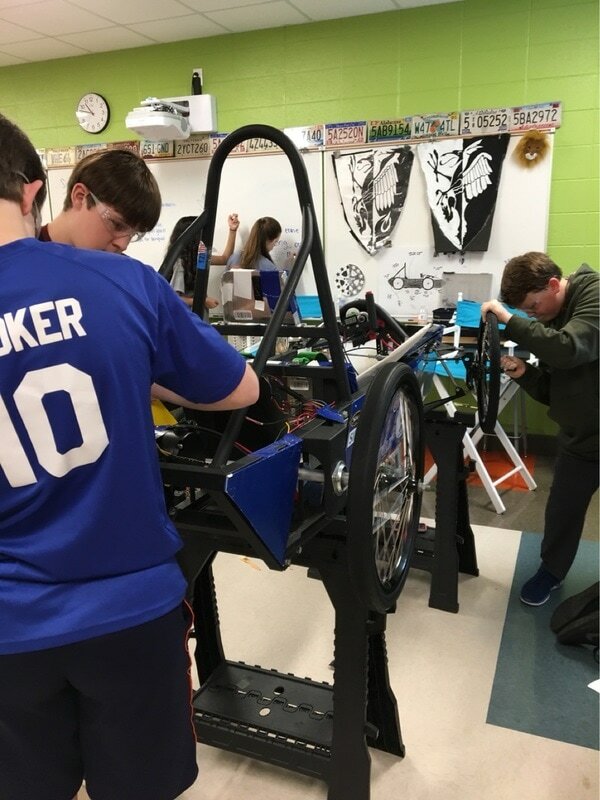 This year the 7th grade team will put together a completely new car and the 8th grade team will improve the car from last year. Next year a new 7th grade team will take apart the past 8th grades team and the current 7th grade team will all be advanced to the 8th grade team and continue to improve there car from the previous year. Today we are working on making a template out of cardboard for the design of our car. We are keeping it simple by attaching it with duct tape! :) Soon we hope to be able to attach the neoprene foam. At first, it was difficult to figure out how to attach the neoprene to the car. Someone then suggested we use grommets and zip ties to attach the foam to the car. 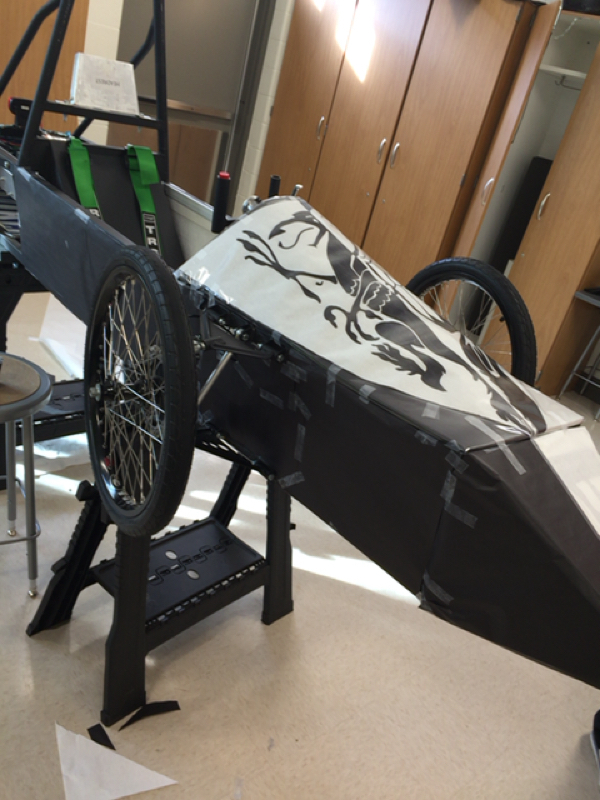 We are so excited to showcase our design at the race!!! Our neoprene foam is finally here! We are so excited to get a body on our car, because the card board was just not working. We are planning to get a GoPro to attach to our car. We also just got our car working on Tuesday, and we drove it for the first time!! We were so happy and we are working on ways to improve our car performance. We are so glad that everything is working out so well and can't wait until we get to race our car. We are working hard and have just sent out a lot of letters to potential companies. 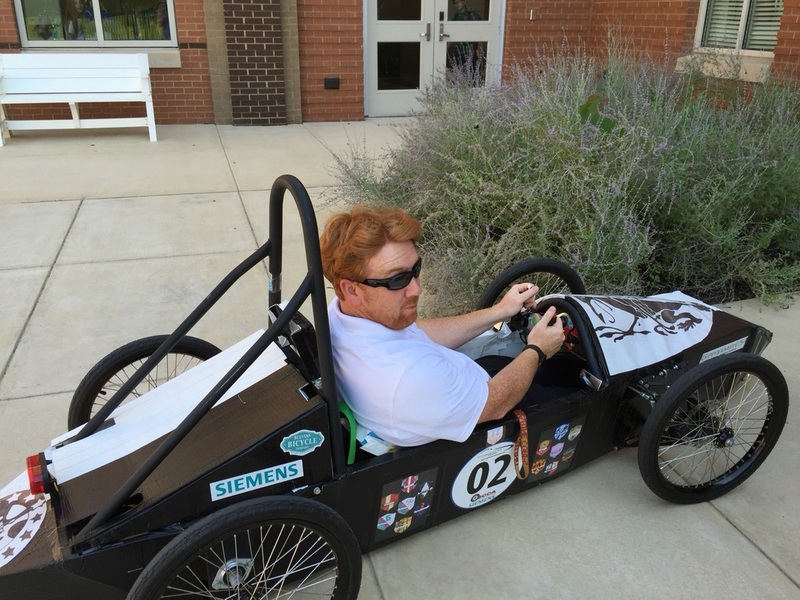 Today we have students who are going to be in GreenPower Team at Mountain Gap. They have come to work with us and see what we are doing and what they will soon be doing. On Tuesday we had three members of Team USA and Mr. Evans come and help our build team with electronics and other things on the car. We have just packed and sent out letters to a bunch of letters potential sponsors. We are thinking about having an event for potential sponsors. We are also continuing to design our car shape.